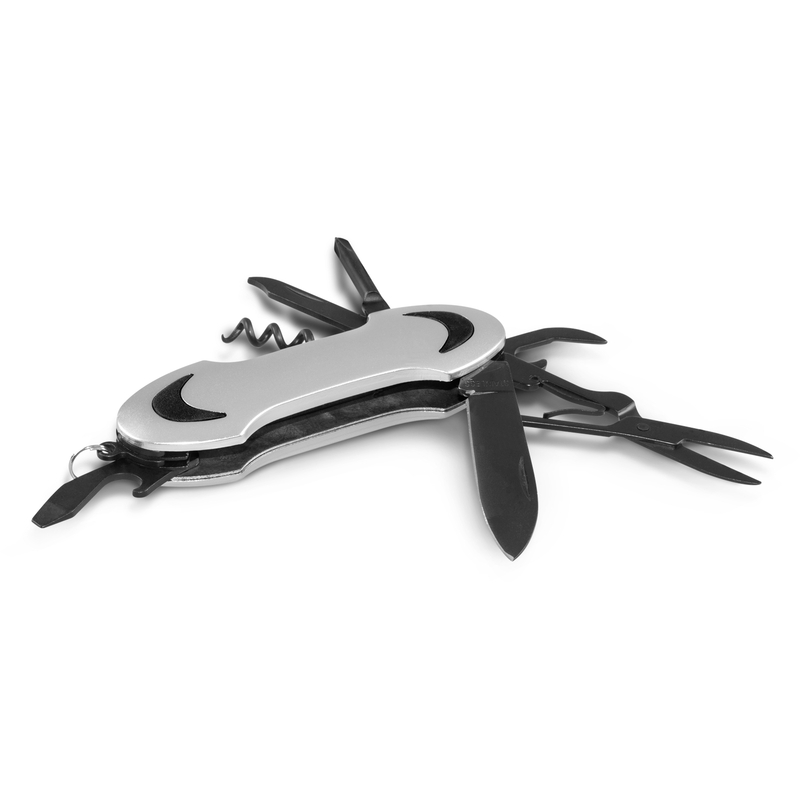 A 7 function pocket knife with black powder coated tools. The gift that keeps on giving. 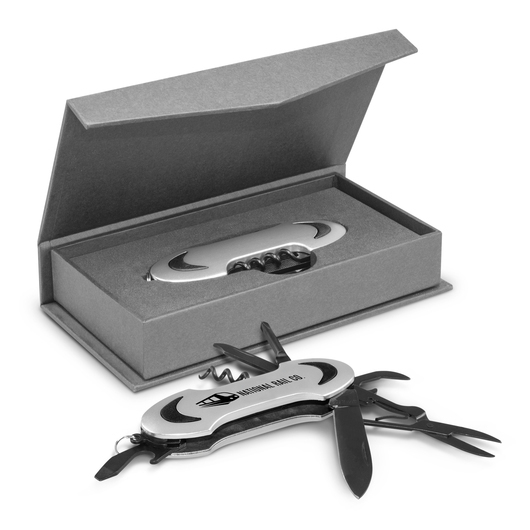 These design inspired metal pocket knives have black powder coated tools and decorative rubber inserts in the handle. 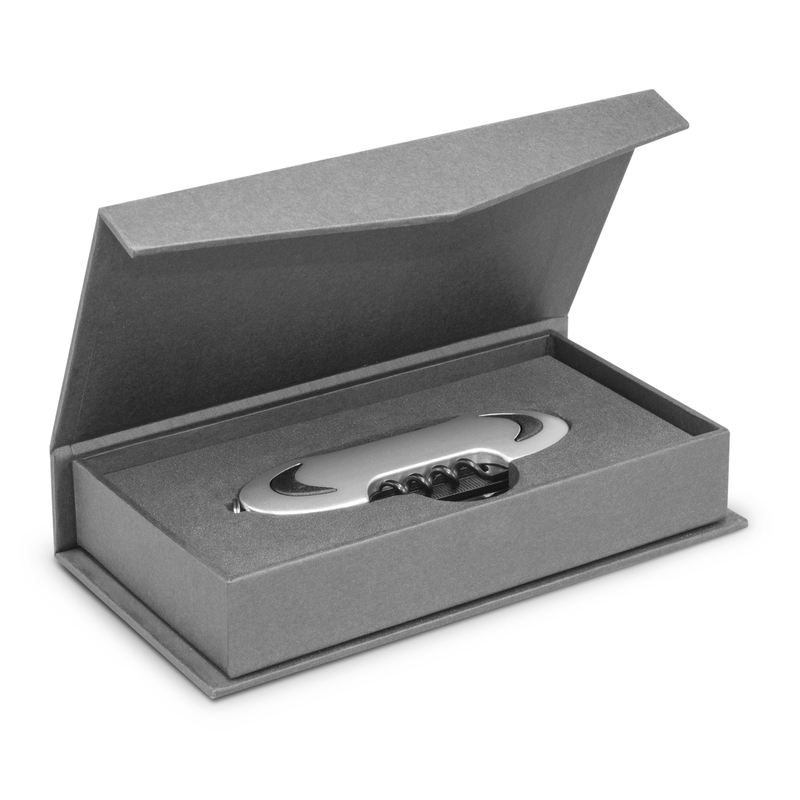 They have 7 different functions and come presented in individual grey gift boxes. A fabulous tool that will come in handy for years to come.